My name is Izumi Ohyama. I am three children's mother. We the families live in Fukushima Prefecture in Japan. 2011.03.11. There was explosion of a big earthquake, tsunami, and a nuclear power plant in Japan. Japan and Fukushima obtained heart-warming support from you in the world. Thank you very much in that case. I am working at the factory which builds the bean paste of Fukushima. I am not a pro's writer. However, I am composing a novel and poetry. 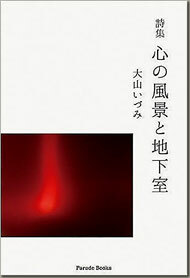 The pain of my heart induced this novel " Myself and the Earth" after the big earthquake. I love this earth of ours. I worried about children's future and wrote this novel.
" Myself and the Earth"It is a novel I want you to read by all means. And I am glad if it is spread all over the world that you read and felt this novel.